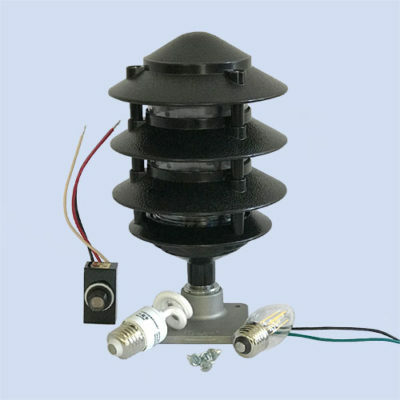 This surface box has (2) 30 amp receptacles, no meters socket, and is typically mounted to a 4×4 post. 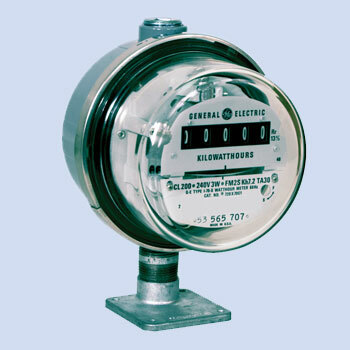 If you want to add a meter at a later time, we offer conversion kits that are very cost-effective. 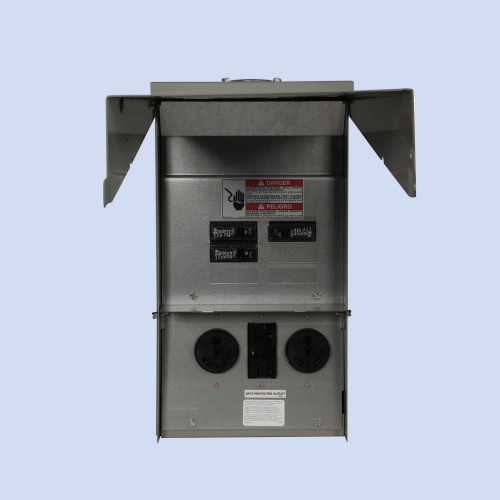 Constructed of heavy gauge steel, this 30/30/20 Eaton post-mount surface box is NEMA 3R rated for outdoor use and finished with a gray polyester powder-coat paint. The receptacle door swings up to open and can be locked. 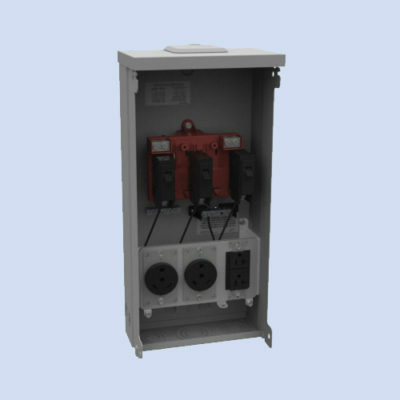 Units come factory wired and are assembled with breakers and receptacles installed and has loop-fed lugs. Canada cUL approved.